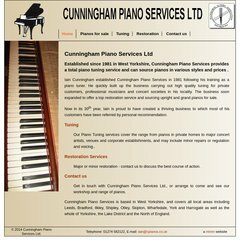 Topics: Pianos For Sale, Tuning, Restoration, Restoration Services, and Minim. It is hosted by Uk Web 21 (England, Maidenhead,) using Apache web server. Its 2 nameservers are ns2.vidahost.com, and ns1.vidahost.com. Its local IP address is 188.65.112.140. Pinging the server, resulted in a 97.3 ms response.